For the past 5 states, I have been doing a proper google search, checking out the ratings and summaries of the books through goodreads and then select a book. I end up buying it when I feel that it will serve the project and purpose of “Increadable India”. This book on the other hand, was completely a random pick. When I was trekking in Coorg, during our ‘rest day’, we visited a fort. The museum in the fort, was wonderful, small in size, but in a bad shape. Wanting to contribute in someway, I looked around and stumbled upon this little book shelf in the corner of a room that had a label on it and it read “Books for sale”. Wish technology would allow me to capture the smell that bookshelf had. It felt like digging out a million year old fossil and in a way felt like hunting for treasure. Hoysala, the word was a first time for me and with funny gestures and facial movements I asked the lady over the counter “Is this about Karnataka?” She said, “Yes, Yes, Karnataka, Hoysala Dynasty followed by afbakjfgdsfbvsdjfgksalfhsdhfksdhfsdgjfsdhfsdkhfaflsdks(something in Kannada)” which I have no clue what it meant. I went for it anyway and OMG, I have no idea how naive I have become to miss out this wonderful dynasty that has been such an important part of our land, particularly, Karnataka. Almost 1000 years old now, this dynasty has been forefront in the development of art, culture and temples in the Karnataka region. The dynasty has been part of this holistic development from 1010 AD to 1346 AD. What this dynasty did in approximately 300 years is fantastic. 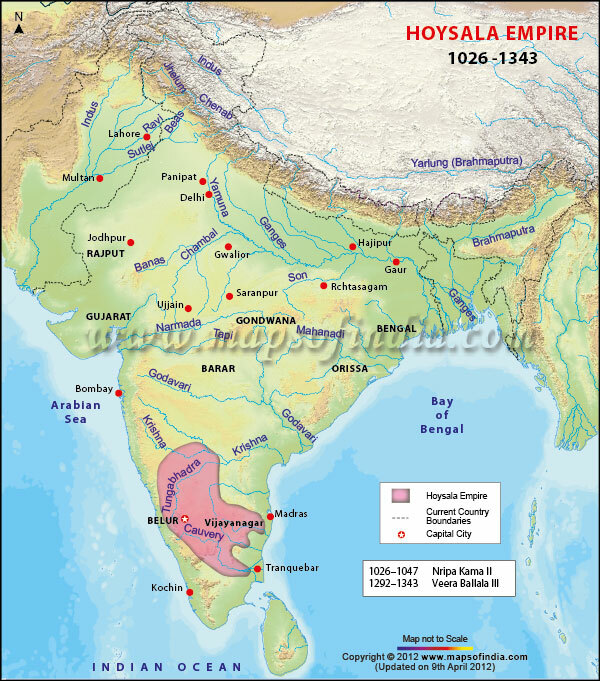 Three languages, Sanskrit, Tamil and Kannada, were prominent in their region of rule. 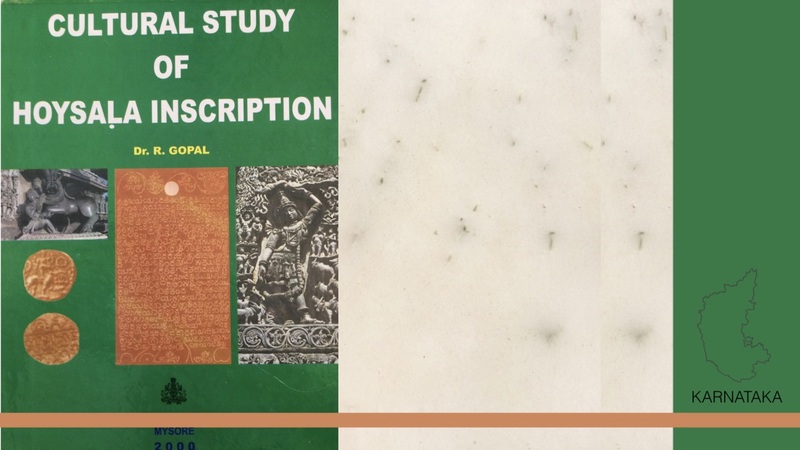 The book “Cultural Study of the Hoysala Inscription” spoke on few aspects and parts of the dynasty. The book opened up with an introduction, followed by the religions prevalent in that time (Jainism, Vaishnavism, Srivaishnavism, Saivism and Virasaivism). The author clearly extracted information from inscriptions that this group left and the book spoke about education, music, dance, poets, position of women, temples and currency. One should be a little aware while reading the book, because there is a need to read in between the lines to feel and live with those of the Hoysala kingdom. This is definitely not your average history book. 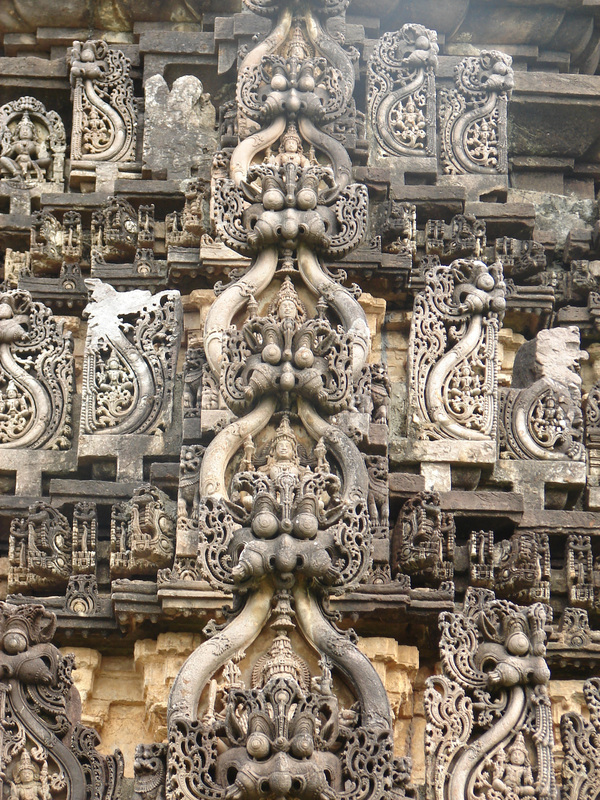 The word Hoysala is written as Poysala or Poysolar which means, poy+solavar, people who do not utter falsehood. By comparing 1010 AD and 2017 AD we have evolved and changed drastically in many directions that are negative and yet still there is a bit of connection, which I feel is unconscious and has somehow kept us rooted to our culture. 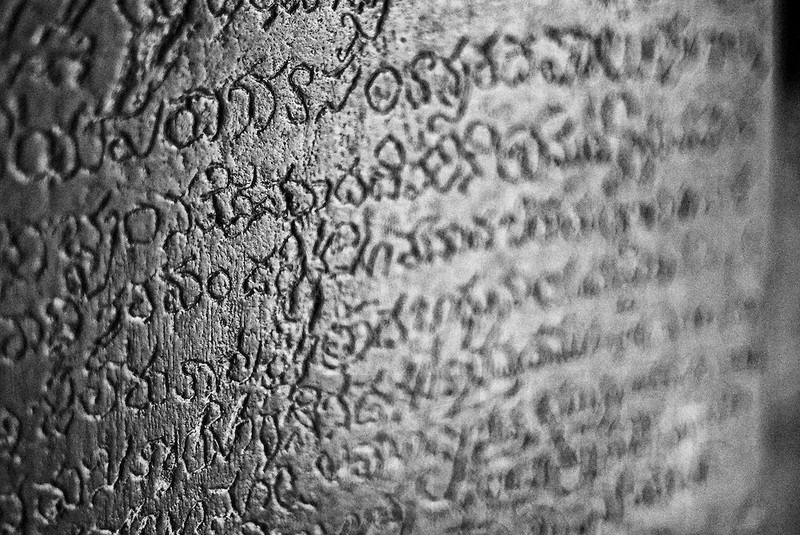 The inscriptions written in the Champu style are either as prose or poetry. These inscriptions have been the source of information for archaeologists and numismatists. Beautifully crafted and lengths ranging from a single word to inscriptions that are 394 lines long, they give an understanding of the importance the dynasty had on writing incriptions and leaving a legacy for the coming generations. The craftsmanship is so intricate, their statues and their inscriptions spoke a million stories more than the actual words. Talk about blogging a 1000 years back, the inscriptions have spoken about art, religion, royal family lineages, food, kingdom and literature. Imagine writing this very article on soap stone! I am glad the mac keyboard is far more comfortable than that. Back then, people have been more secular and religiously open mined. This is evident because the dynasty had kings who were ardently devoted to Srivaishnavism but their wives are complete opposite by being devoted to Jainism. With the such disparities, the kingdom flourished and the family was prosperous. With all the religions mentioned, temples were built extravagantly. A lot of importance were given to infrastructure and aesthetics. This was primarily because the temples were the centre point around which life existed. Worshipping was only one part. There were education(school) classes that went on, business discussions, money transactions, loan borrowing, dance and music shows for the public and general political discussions. This is the present day “mall” for we are doing everything that they did. Except worshiping, as it has become directed and different. Ideally the temples brought in all the people in one place, giving the chance to interact and strengthen their bond, thus living as one through time. Education back then was open as people were given equal right. We now talk about un-schooling, formal education, higher education and college. Schools have changed, but the idea has been similar a thousand years back as well. Education was not just science, because the normal subjects you would have to opt for during school would be the four vedas, vēdāngas, polity, poetry, drama, purānas, āgamaśastras and logic. People were given the choice of specialising in one particular subject as they grew up. If you were a teacher in an educational institution back then, you would not get a monthly salary, instead, fertile land, free living and food were given as incentives. Such was the importance given for the teachers back then. As I said before, education was not just classes, there was education through music and dance as well. People of the Hoysala kingdom, incorporated music and dance in their everyday life so that there was sustainability and transfer of talent and skill from one generation to the other. Fun fact is, the sculptors had to know dance before they could sculpt out a goddess in a dance position. Musical instruments were plenty and a part of their life. Women were given equal opportunities in education as well. Such a wonderful kingdom had to come to an end somehow. The family divided, and post division there was the invasion from the Muslims. That caused the 30 decade dynasty to come to a halt. But because of the importance given to religion, open mindedness, love for art and culture, harmonious living and equality, we still have those temples standing strong and their history being read and written by a number of archaeologists. Here is the MAK tip. Pay attention to the smallest of things for they are the connecting links to the bigger picture. Never think of anything as unimportant and silly, for every brush stroke counts in the master piece. The dynasty still lives because of how they gave importance to each others’ opinion and by living together, have left us with a sense of pride of where we belong. Wonderful article! You brought out the beauty of the dynasty along with the beauty of the book! Had no idea such a dynasty existed until now! 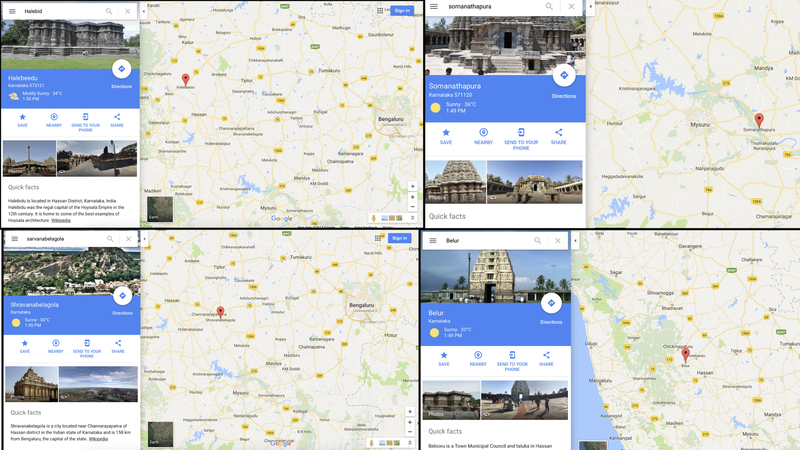 Arun, if you would like to know more about arts … of Hoysala dynasty,please visit Belur and Halebidu in Hassan District , Karnataka. The inspiration for the sculpture was ” Queen of Vishnuvardhan known as Pattamahishi Shantala Devi.